So You’ve been to the gym. And had an intense heavy weights great work out. Unfortunately you want to trim some fat too so you added some aerobic activity at the end. Maybe you were on the treadmill for over 45min exercising at the same intensity for the entire duration of exercise session. This is difficult to do for the bodybuilder not just physically but also the psychological thought of it whilst you work out. Knowing there’s still that boring long jog at the end of all this exertion. The goal of course is to lose a lot of calories and most probably burnt a lot more body fat. There’s a system which takes less than half the time and more varied with much faster fat burning results. Possibly one of the most effective fat burning and health maintenance systems out there. It’s called HIIT. HIIT stands for High Intensity Interval Training. It is a form of cardiovascular exercise. It involves a training strategy where we give our 100% through quick burst of short exercises followed by shorter but active recovery times. For example 30 Seconds Brisk Walk, 30 Seconds Sprint, Repeat 7 more times (8 minutes total). The purpose is to increase heart rate to its max. This could be done through aerobics, sprinting, biking, swimming, weight lifting, squatting etc. When we exercise intensively or lift heavy weights, we may sometimes get a kind of ‘burning sensation’. This is due to a build up of lactic acid. Lactic acid gets accumulated very quickly when we exercise at our full potential. The build-up of lactic acid will be the deciding factor in just how will we be able to hold our max intensity. This will be different for every participant. During intense exercising lactate production stimulates a phenomenon called mitochondrial biogenesis after exercise. The mitochondria are little ‘factories’ inside the muscle cells where aerobic metabolism occurs. This means, where oxygen is used to break down fats and glucose to yield energy. An increase in the concentration of mitochondria inside muscle cells is one of the major adaptations to training that improve endurance performance. And lactate makes it happen. This is one of the reasons HITT is such a potent performance booster. Lactic acid does not only lead to increased growth hormone in the muscle, it also increases testosterone production. Both hormones promote increased fat loss and higher fitness levels. This very build up of lactic acid is what triggers the body into action. The body switches on its ‘max burners. This leads to excess use of oxygen. How does the body deal with this? We have a build up of lactic acid which needs to be dealt with. We have had sudden elevated oxygen consumption which needs to be made up for. Our body is unable to supply enough energy to fuel the activity. The body will take aid from our anaerobic system to assist in requiring additional oxygen to replenish significant stores that were used suddenly via non oxidative metabolic pathways. And how does the body do that? It will increase our metabolism and burn more fat to make fuel to make up for the deficit. Another interesting thing will take place is EPOC, Excess -Post energy Oxygen consumption. What this means is that, we have finished training but we are still burning calories at an elevated rate due to the high levels of oxygen consumption. This will last for several hours and our bodies will continue to have training effect. Short burst of exercises accelerates metabolism and fat burning process in comparison to longer durations of exercises. In 2011 at the University of Western Ontario, 20 men and women were assigned randomly to an HIIT group or CT (continuous training) group. In the HIIT group subjects had to run on a treadmill with 4 to 6 bouts of all out sprints lasting 30 seconds. Each 30 second session of sprinting was separated with recovery periods lasting 4 minutes. The CT group jogged on a treadmill at around 65% of their maximal heart rate for between 30 and 60 minutes. Training sessions took place 3 times per week for duration of 6 weeks for both groups. After 6 weeks the CT group lost a total of 5.8% of their fat mass. And subjects in HIIT group lost a total of 12.4% of their fat mass. The results speak for themselves that HITT is clearly superior over CT when it comes to fat or weight loss. That too, in a lot less time. Due to high intensity exercises we are not only burning more fat than before but are also able to increase our aerobic (with oxygen) and anaerobic (without oxygen) endurance. Which is why HIIT is considered to be more effective than ‘normal’ cardio. HITT can be used by anyone with any size, age or aim. Studies have shown that HIIT is suitable for children to elderly cardiac patients, from the highly trained to the sedentary and highly overweight. If you are worried about the risk from such a high level of exertion due to age or fitness level, then you may wish to refer to a study published in the New England Journal Of Medicine. The Study showed that the actual risk from any particular bout of vigorous exercise was extremely low; 1 death in every 1.51 million episodes of strenuous activity. Furthermore the study showed that habitual vigorous exercise such as HIIT actually lessened the risk from sudden death from the actual exercise itself. HIIT can be used with a few different goals in mind – to lose as much fat as possible while cutting or bulking, or to improve aerobic and anaerobic endurance as much as possible. If you consider yourself cardiovascular trained but have never tried anything like HIIT, you will find that you adapt to it very quickly without any problems. The sudden extra shock to your system will force your physiology to make changes to your fitness at a rapid pace, something you would have never experienced before. If you are sedentary or lack exercise experience then it is always suggested to check with your doctor before doing any form of exercise to ensure your fitness levels are okay. Although you can carry out HIIT at comfortable intensities when starting out, the eventual aim should be to give your 100% of through maximal heart rate training. You should be able to hold this intensity for as long as you are able to. For untrained individuals it is advised to initially take it easier. This can be achieved by making your high intensity periods less intense and for a shorter duration. You can also increase your length of recovery periods to something manageable. 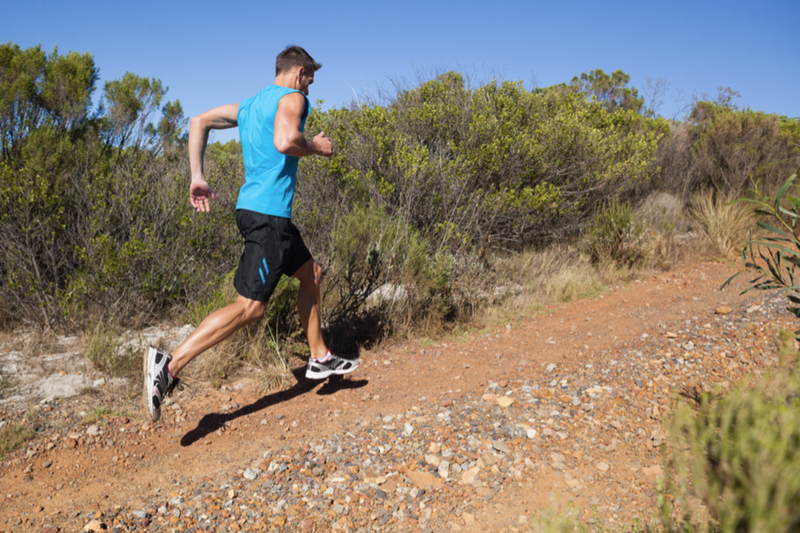 By adapting to shorter HIIT sessions you will soon be able to improve your fitness and build up to higher intensity. To get the best results from HIIT the exercise period should be very intense, as intense as possible. The purpose should be that we should tire out very quickly but for very short duration, so that it’s not possible to carry on. Choose two points. Point 1 and Point 2. For example, if you plan to run in a park, these could be two trees 50 or more metres apart. In fact, you can choose to have your session anywhere from a park, the gym or just on your street. Always start your session with a warm up. Or you can start with a brisk walk leading to a gentle jog at a comfortable pace. 1. After the warm up, start brisk walking to point 2. 2. When you have reached point 2, turn back and SPRINT. Give it all you’ve got to get back to point 1. 4. Sprint back to point 1 and continue this 8 times. This should take you around 8 – 10minutes. In this track we add some variety. After our primary warm up lap walking and jogging we will start our session with a gentle jog prior to the all out sprint. This will still give us plenty of recovery time by dropping our heart rate before the sprint. 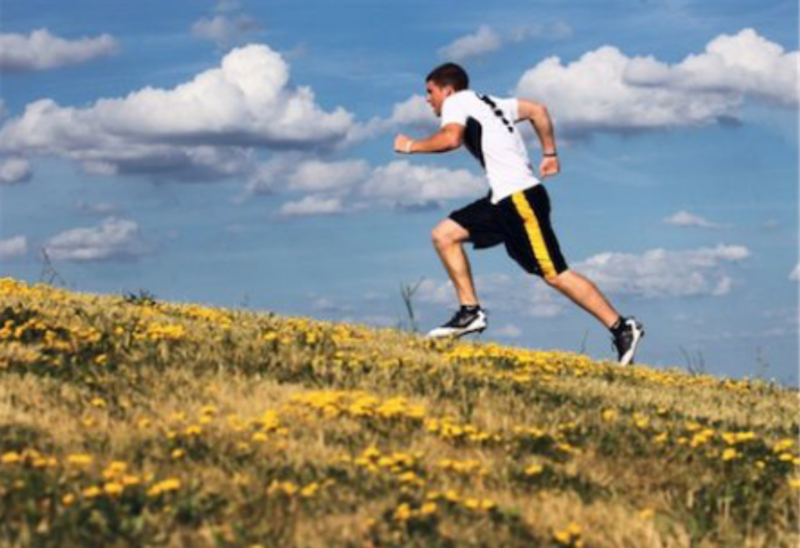 This session can be applied at a gym with a treadmill on incline or at a park — going uphill. Sprint or on a bike, whichever you prefer. This track is more advanced. Sprinting uphill is what we should eventually be aiming for as there are very few better or faster ways of achieving a maximum heart rate level than this. 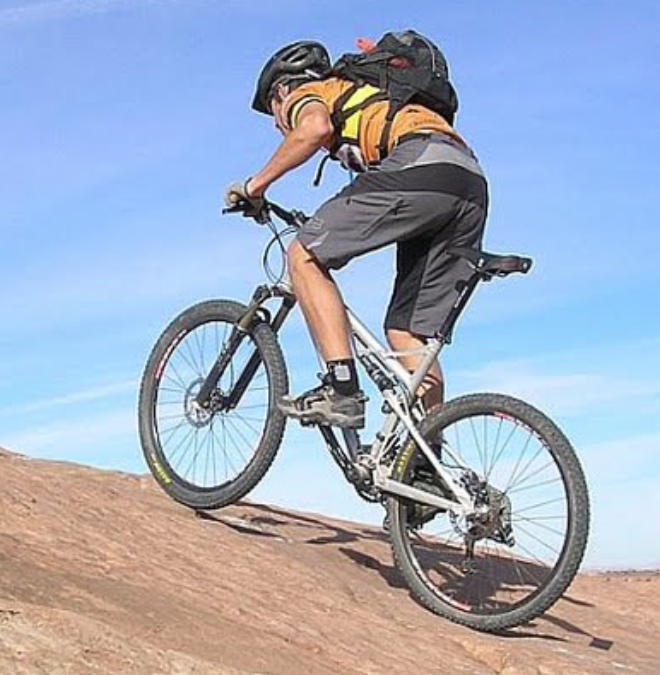 Riding or walking back down after getting to the top will often give us a shorter period of recovery period. So walking back to the starting point in an arc will give us extra recovery time. This is very intense! So it’s better to try the advanced level, once you have tried the beginner and intermediate levels of HIIT session. Always start with a general warm up (as above). 1. Sprint or ride up the hill. 2. Slowly come back to the starting point in an arc. REPEAT 8 Cycles, where 1 and 2 would count as one cycle. These are just few examples how to incorporate HITT into your training regime. Once your grasp the concept, you can build your own versions of effective HIIT sessions very comfortably. Try it next time you train and monitor your results. HIIT is intense but it works, fast.